Isabel is a junior General Business major and Music Business minor from Marion, Illinois. "I love Alpha Gam because the women truly inspire me and push me to be my best self. I know that I can always count on the women of Theta Tau anytime I need them. They are some of the most inspiring women I know." Ally is a junior, Psychology major with a Legal Studies minor from Camden, Tennessee. "Coming from one of the lowest income counties in the state of Tennessee, fighting hunger has always been important to me because I have seen first hand what hunger looks like. I am filled by working with organizations and people who are passionate about feeding all people no matter what their circumstances are. Being able to hear 'Thank You' from those who are hungry is honestly one of the greatest feelings that I have experienced." 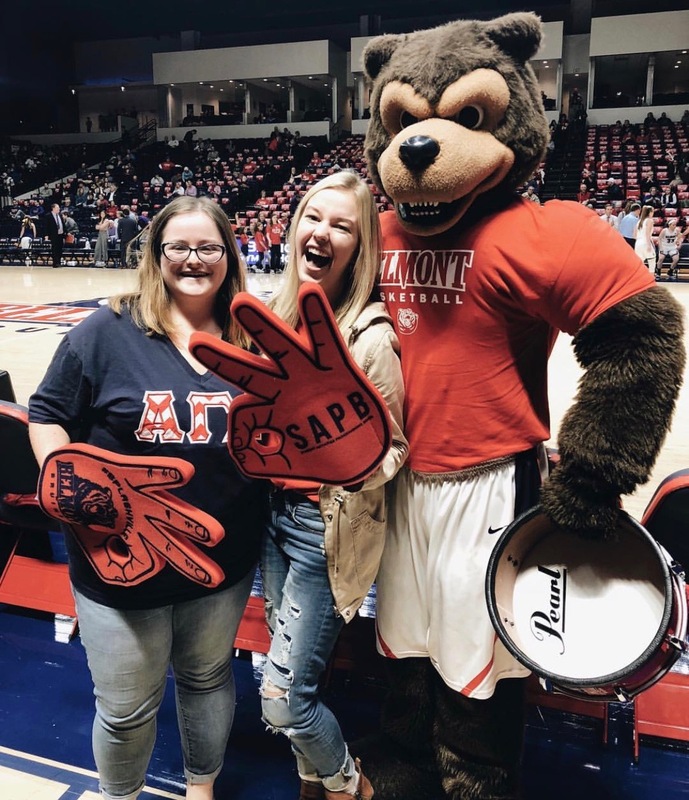 Rachel is a sophomore English and Secondary Education major from Brentwood, Tennessee. "'To hold truth inviolable, sincerity essential, and kindness invaluable.' This line of the Purpose is my favorite because I hold these three qualities in the highest regard. I work hard to make truth, sincerity, and kindness pillars of my personal and spiritual life, and I am honored to be apart of an organization that values these qualities as well! Sydney is a junior General Business and Communications major from Pinckneyville, Illinois. "I love Alpha Gam because it has given me not only an opportunity to lead, but also people who inspire and love me!" Mattie is a sophomore General Business major from Troy, Tennessee. 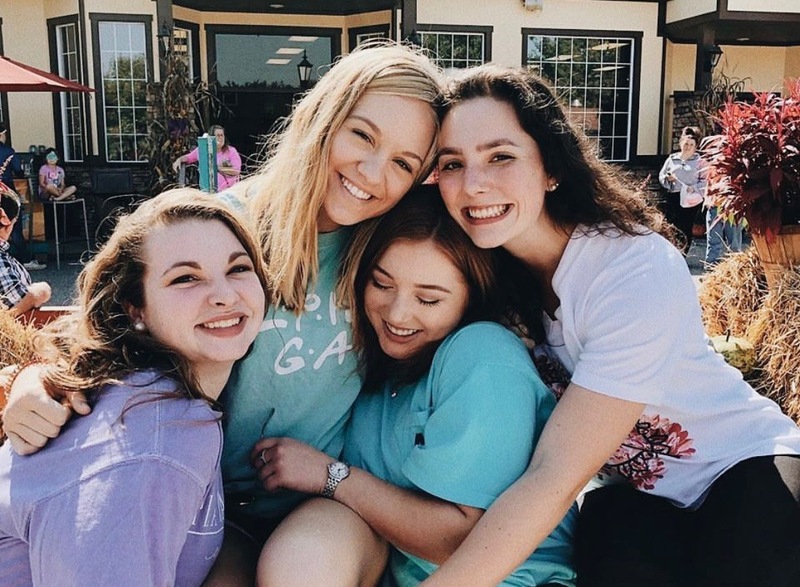 "I love Alpha Gam because of the connections I’ve made and the chances I’ve had to contribute to my chapter and community." Meg is a junior Publishing major with a Music Business and Spanish double minor from Trenton, New Jersey. "As a volunteer with a local education program, we feed our students with what is most likely their only meal at every class. Seeing their gratitude makes me want to fight hunger in every way possible because I want to see everyone have a meal they deserve." Ally is a junior Nursing major from Bloomington, Illinois. "I love Alpha Gam because it has given me a community of women who are there for me whenever I need love or support! 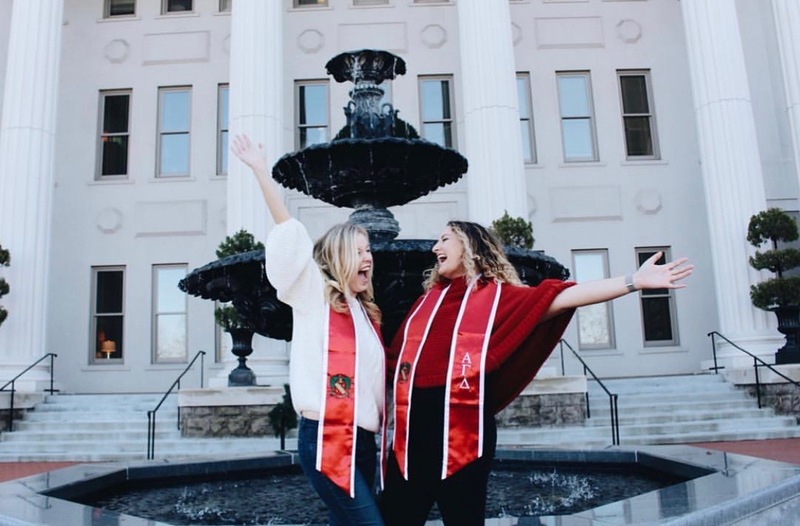 I've met my best friends through Alpha Gam, and it has also given me the opportunity to lead and make a difference on campus." KD is a sophomore English major and Secondary Education and Spanish minor from Nantucket, Massachusetts. "Fighting hunger is important to me because eating meals with my family is one of my favorite things about being with them. I used to take these meals with my family and my full lunch box my mom sent me to school with everyday for granted. Having the food I need to fuel my body has allowed me to perform to my highest potential and enjoy all aspects of life through grade-school and into college." Jordan is a junior General Business and Public Relations major from Lexington, Kentucky. 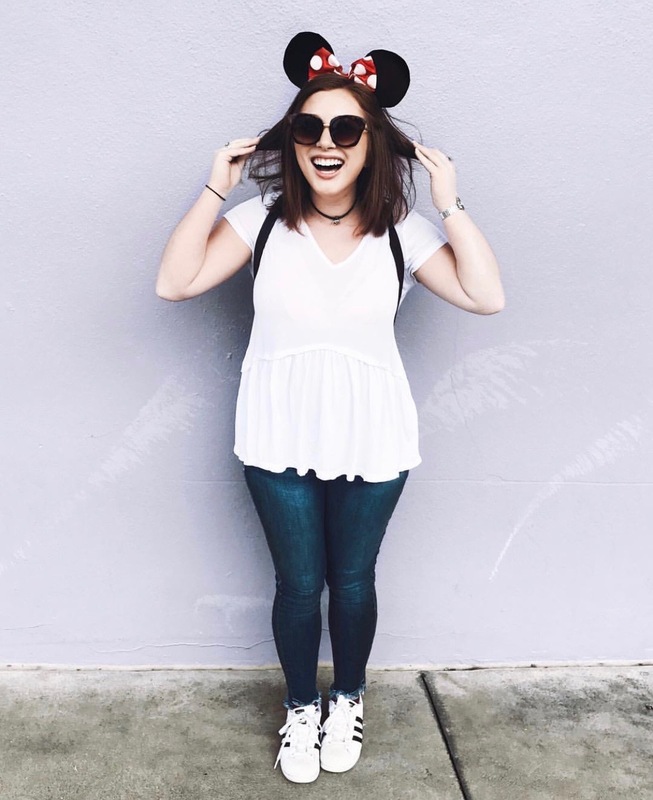 "I joined Alpha Gam at a time when I was extremely homesick and lonely and searching desperately for a community. 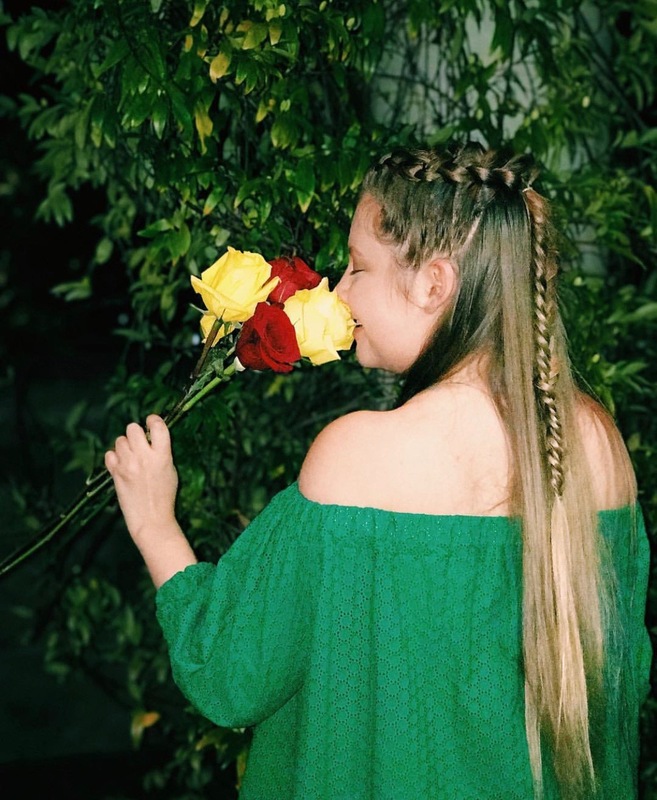 The woman in Alpha Gam were purposeful women of beauty and worth, and I am forever grateful that they recognized those same qualities in me before even I saw them in myself." Katelyn is a sophomore Music Business major with a Production emphasis from Peoria, Illinois. "My favorite memory was my first Greek Sing. Before taking the stage I looked around and just saw happiness. everyone was so happy for the new friendships they had created and to be doing something for a greater cause. St.Jude has always been a big passion of mine and to be able to make new friends while raising money for my favorite cause was something I had always been looking for." Ashley Taylor is sophomore Theatre Education major from Louisville, Kentucky. "I am so passionate about fighting hunger because I have seen how it has affected so many in my community, my immediate family included. I knew one day I wanted to contribute to fighting hunger and through Alpha Gam, I can use my skills and knowledge to live out that purpose. I’m pumped to serve my chapter this year and help lead others in the fight against food insecurity!" Paytan is a sophomore General Business major from Norman, Oklahoma. "I always knew that I wanted to be in a sorority because of my grandmother and my sister. They are my Alpha Gam whys because they both showcase our purpose in every part of their lives. They both love to serving others in their chapters as well as being intentional with all their relationships with other sisters. 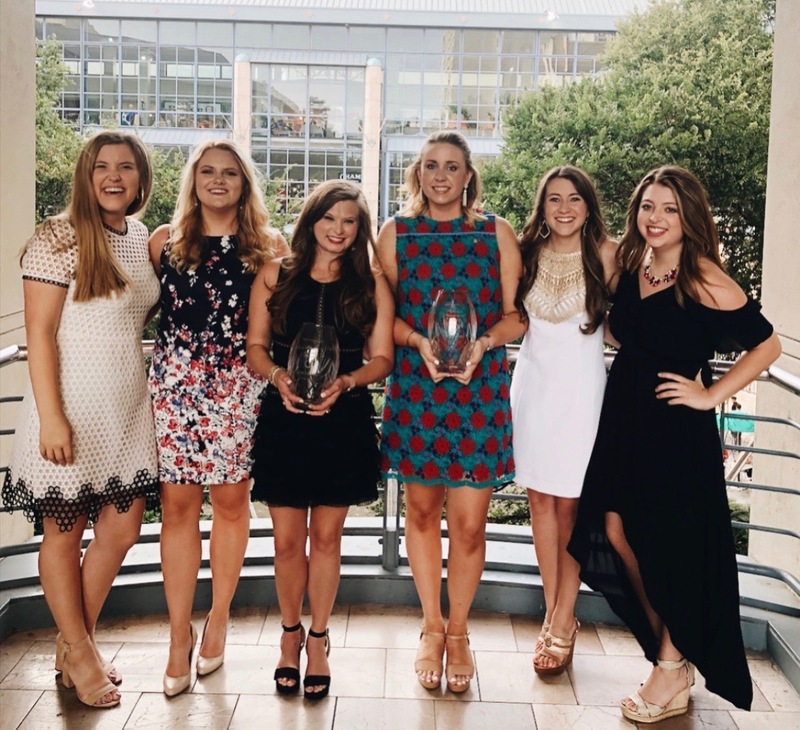 I am so blessed that they encouraged me to go through recruitment and find a group of woman that would support me throughout the rest of my collegiate years as well as beyond."